Balance your energy, sooth your spirit & brighten your perspective. 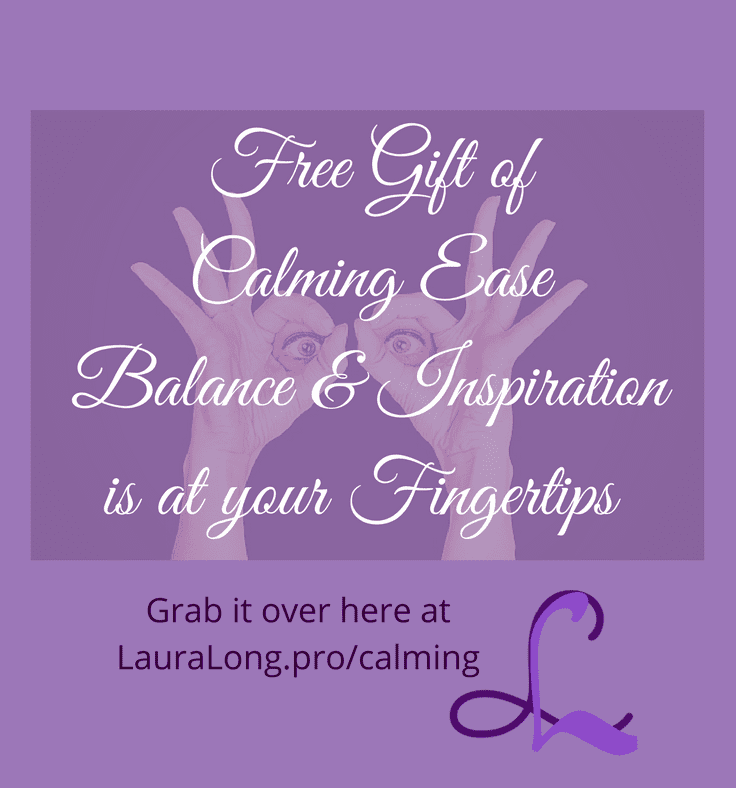 Yes calming ease can be just that simple! I developed this process because I needed something for myself that was simple, quick and effective to use when I was feeling out of flow. You know those times when you feel out of alignment with what your logical mind wants and you can literally feel that monkey in your brain bouncing all around saying crazy things that logically don’t hold water, or even make sense when put to the test. I could not calm the monkey in my head enough to hear my higher self. NO! Don’t get me wrong I’m not talking about some type of psychosis here…. I am a pro when it comes to working on those monkey mind issues with lots of tools yet all that didn’t help me with this urgent and re-emergent need to just generally calm my nervous system. After all sometimes there is not an exact idea about what to calm. The inquiry became how do I calm something I can “feel” is there yet I don’t have the time, energy or desire to pick it apart to find what’s at the core of my monkey mind flavor of the day. bring a bit more ease into the day without the complication. That inquiry gave birth to the process I’m sharing with you so you too can cultivate your inner ease and inspiration. There is an added benefit, a great side effect, which is expanded creativity, clarity and focus! Ha! who knew it could be just that easy. I’m not pitching you a magic bullet here! I’m showing you a simple way to calm things down a bit. if you do this as a regular practice the benefits grow and last longer with repetition. And, if you are a mediator or have a deeper practice, this will give you a boost to do your deeper practices on those days when it’s a challenge. does not have to be dark, long & heavy. Cultivate a sense of inspirational ease. Anytime you wish to bring ease and clear inspiration into your day. You will have the option to opt in to my value content email once you select subscribe. Your email is highly valued, and never shared. I think you would be especially interested to know. You and I both have more fun to do than emails!